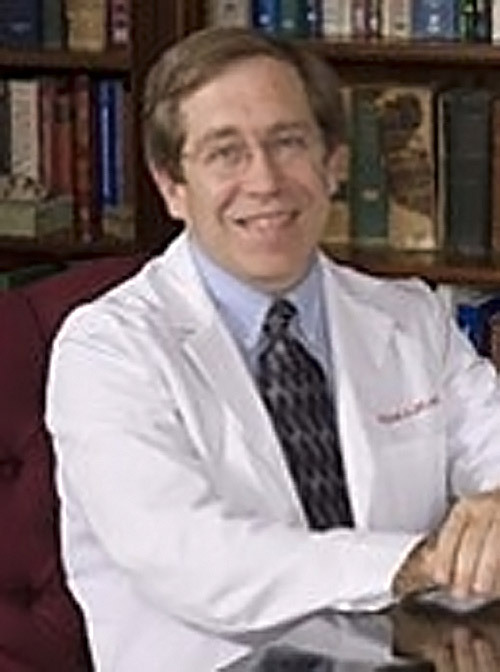 Dr. Albelda is employed by Penn Medicine. Bengsch Bertram, Ohtani Takuya, Khan Omar, Setty Manu, Manne Sasikanth, O'Brien Shaun, Gherardini Pier Federico, Herati Ramin Sedaghat, Huang Alexander C, Chang Kyong-Mi, Newell Evan W, Bovenschen Niels, Pe'er Dana, Albelda Steven M, Wherry E John: Epigenomic-Guided Mass Cytometry Profiling Reveals Disease-Specific Features of Exhausted CD8 T Cells. Immunity 48 (5): 1029-1045.e5,2018. Aggarwal Charu, Haas Andrew R, Metzger Susan, Aguilar Laura K, Aguilar-Cordova Estuardo, Manzanera Andrea G, Gómez-Hernández Gregoria, Katz Sharyn I, Alley Evan W, Evans Tracey L, Bauml Joshua M, Cohen Roger B, Langer Corey J, Albelda Steven M, Sterman Daniel H: Phase I Study of Intrapleural Gene-Mediated Cytotoxic Immunotherapy in Patients with Malignant Pleural Effusion. Molecular therapy : the journal of the American Society of Gene Therapy 26 (5): 1198-1205,2018. Scherpereel Arnaud, Wallyn Frederic, Albelda Steven M, Munck Camille: Novel therapies for malignant pleural mesothelioma. The Lancet. Oncology 19 (3): e161-e172,2018. Negorev Dmitri, Beier Ulf H, Zhang Tianyi, Quatromoni Jon G, Bhojnagarwala Pratik, Albelda Steven M, Singhal Sunil, Eruslanov Evgeniy, Lohoff Falk W, Levine Matthew H, Diamond Joshua M, Christie Jason D, Hancock Wayne W, Akimova Tatiana: Human neutrophils can mimic myeloid-derived suppressor cells (PMN-MDSC) and suppress microbead or lectin-induced T cell proliferation through artefactual mechanisms. Scientific reports 8 (1): 3135,2018. Moon Edmund K, Wang Liang-Chuan S, Bekdache Kheng, Lynn Rachel C, Lo Albert, Thorne Stephen H, Albelda Steven M: Intra-tumoral delivery of CXCL11 via a vaccinia virus, but not by modified T cells, enhances the efficacy of adoptive T cell therapy and vaccines. Oncoimmunology 7 (3): e1395997,2018. Aggarwal Charu, Wang Xingmei, Ranganathan Anjana, Torigian Drew, Troxel Andrea, Evans Tracey, Cohen Roger B, Vaidya Bhavesh, Rao Chandra, Connelly Mark, Vachani Anil, Langer Corey, Albelda Steven: Circulating tumor cells as a predictive biomarker in patients with small cell lung cancer undergoing chemotherapy. Lung cancer (Amsterdam, Netherlands) 112 : 118-125,2017. Pietrofesa RA, Woodruff P, Hwang WT, Patel P, Chatterjee S, Albelda SM, Christofidou-Solomidou M: The synthetic lignan secoisolariciresinol diglucoside prevents asbestos-induced NLRP3 inflammasome activation in murine macrophages. Oxidative medicine and cellular longevity 2017 : 7395238,2017. Moon EK, Langer CJ, Albelda SM: The era of checkpoint blockade in lung cancer: taking the brakes off the immune system. Annals of the American Thoracic Society 14 (8): 1248-1260,2017. Newick Kheng, O'Brien Shaun, Moon Edmund, Albelda Steven M: CAR T Cell Therapy for Solid Tumors. Annual review of medicine 68 : 139-52,2016. Singhal Sunil, Bhojnagarwala Pratik S, O'Brien Shaun, Moon Edmund K, Garfall Alfred L, Rao Abhishek S, Quatromoni Jon G, Stephen Tom Li, Litzky Leslie, Deshpande Charuhas, Feldman Michael D, Hancock Wayne W, Conejo-Garcia Jose R, Albelda Steven M, Eruslanov Evgeniy B: Origin and Role of a Subset of Tumor-Associated Neutrophils with Antigen-Presenting Cell Features in Early-Stage Human Lung Cancer. Cancer cell 30 (1): 120-35,2016. Newick Kheng, O'Brien Shaun, Sun Jing, Kapoor Veena, Maceyko Steven, Lo Albert, Pure Ellen, Moon Edmund K, Albelda Steven M: Augmentation of CAR T cell trafficking and antitumor efficacy by blocking protein kinase A (PKA) localization. Cancer immunology research 4 (6): 541-51,2016. Sterman DH, Alley E, Stevenson JP, Friedberg J, Metzger S, Recio A, Moon EK, Haas AR, Vachani A, Katz SI, Sun J, Heitjan DF, Hwang WT, Litzky L, Yearley JH, Tan KS, Papasavvas E, Kennedy P, Montaner LJ, Cengel KA, Simone CB, Culligan M, Langer CJ, Albelda SM: Pilot and Feasibility Trial Evaluating Immuno-Gene Therapy of Malignant Mesothelioma Using Intrapleural Delivery of Adenovirus-Interferon-alpha Combined with Chemotherapy Clinical Cancer Research 22 (15): 3791-3800,2016. Lo Albert, Wang Liang-Chuan S, Scholler John, Monslow James, Avery Diana, Newick Kheng, O'Brien Shaun, Evans Rebecca A, Bajor David J, Clendenin Cynthia, Durham Amy C, Buza Elizabeth L, Vonderheide Robert H, June Carl H, Albelda Steven M, Puré Ellen: Tumor-Promoting Desmoplasia Is Disrupted by Depleting FAP-Expressing Stromal Cells. Cancer research 75 (14): 2800-10,2015. Moon Edmund K, Ranganathan Raghuveer, Eruslanov Evgeniy, Kim Soyeon, Newick Kheng, O'Brien Shaun, Lo Albert, Liu Xiaojun, Zhao Yangbing, Albelda Steven M: Blockade of Programmed Death 1 Augments the Ability of Human T Cells Engineered to Target NY-ESO-1 to Control Tumor Growth after Adoptive Transfer. Clinical Cancer Research : an official journal of the American Association for Cancer Research 22 (2): 436-47,2016. Moon EK1, Wang LC2, Dolfi DV3, Wilson CB4, Ranganathan R2, Sun J2, Kapoor V2, Scholler J4, Puré E5, Milone MC4, June CH4, Riley JL3, Wherry EJ3, Albelda SM2. : Multifactorial T-cell Hypofunction That Is Reversible Can Limit the Efficacy of Chimeric Antigen Receptor-Transduced Human T cells in Solid Tumors. Clinical Cancer Research 20 (16): 1-12,2014. Wang Liang-Chuan S, Lo Albert, Scholler John, Sun Jing, Majumdar Rajrupa S, Kapoor Veena, Antzis Michael, Cotner Cody E, Johnson Laura A, Durham Amy C, Solomides Charalambos C, June Carl H, Puré Ellen, Albelda Steven M: Targeting Fibroblast Activation Protein in Tumor Stroma with Chimeric Antigen Receptor T Cells Can Inhibit Tumor Growth and Augment Host Immunity without Severe Toxicity. Cancer immunology research 2 (2): 154-66,2014. Akimova T, Zhang T, Negorev D, Singhal S, Stadanlick J, Rao A, Annunziata M, Levine MH, Beier UH, Diamond JM, Christie JD, Albelda SM, Eruslanov EB, Hancock WW: Human lung tumor FOXP3+ Tregs upregulate four "Treg-locking" transcription factors. JCI Insight 2 (16): pii 94075,2017.